Lately, Guy asks us to tell him stories all the time. Mostly, I make up stories about him and Scarlett sneaking treats, which he gets a real kick out of. But this evening, during our Family Night, we were teaching the children about the Holy Ghost, so we chose to share stories about our own personal experiences with the Holy Ghost. "When I was a missionary in Brazil, my companion and I were walking home one night when a group of men stopped us and asked us for the time. One of the men stuck a gun in my companion's gut and told us to walk with them. They took us to a field and told us to give him all of our money. I told them that all I had was a dollar and then I paused and The Spirit spoke in an instant to my mind, telling me that I needed to explain why I didn't have any money, that I was a missionary for the church of Jesus Christ of Latter-day Saints. 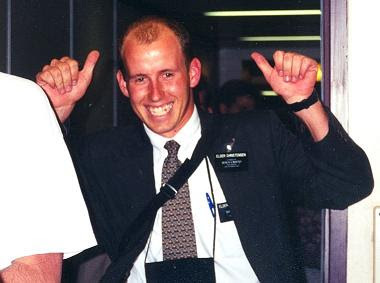 I pointed to my missionary name tag and told him that I didn't have much money, because I am a missionary of the Church of JESUS CHRIST. Upon hearing that, the men apologized profusely and let us go. I don't know what might have happened that night had I not heard and followed the prompting that I received from the Holy Spirit." what a great story for your kids (and blog readers) to hear! That was a great story. Thank God he is here to tell it. I love you guys. Wow Jocelyn, not only a beautiful story but an amazing, touching testimony of the Holy Spirit...i love it so much.